We are not sure or have any indication of google+ applications are coming. But we think it would be a critical, important and great feature to compliment unique feature that Google+ offers. It is one of the nice feature people use in other social networks for e.g in facebook – so if they decide to migrate to Google+, they have to miss or loose that feature which is not convincing. Games – Social games are very popular for e.g Farmville. Millions of people play them everyday, we don’t think anybody will give up if they want to switch over. Applications help to extend the functionality of social networks beyond what social networks offer. Help businesses to serve their customers where people spend most of the time when they are online and stay connected. Single sign on or identity without customers have to signup or remember another username/password. We hope Google is working on this great feature. Personally, I’m a bit divided on the idea of Google introducing applications to Google+. There is no doubt that many people enjoy social gaming on Facebook and for them to switch to Google+, they need to have access to the same experience. However, introducing games and other applications would just add clutter, and potential privacy risk (we all know the amount of information that Playfish requires you to share with them in order to play their games). I’m not convinced if social gaming would help Google or hurt them in the long run. I look at Google+ as a social network for people that are more focused on having control of their online presence. Google+ forces you to be accountable, and think before rather than after the fact. It requires you to really ponder on who’s your friend and who’s just a colleague, and make your decision as to who you’re going to share your posts with. To me it’s more about efficiency in communication, than mindless clicking. I too, played games like Knighthood, Restaurant, Empire, etc. It was fun but quickly became annoying and it was difficult to get rid of them and the constant stream of notifications and pesky emails from Playfish. If Google can come up with a way to contain the gaming without it being too intrusive, they can create another source of revenue for themselves. I just don’t want to see Google+ become another Facebook. What’s the point of having a choice if there is no differentiating factors between the two services. Leave social gaming for kikoolol FB users and go beyond. I will soon cancel my FB account (that I did not use much) because of all that stupid stuff (gaming, sending kisses, advertisings etc..). I was waiting for long that Google would redesign a kind of “mature” FB that would go to the essential. This is the case now, the interface is clever and easy, the possibilities better and better with time. I want to use this service (social network) for what it was designed in the beginning when it was ‘created’, that is “SHARE” interesting stuff with friends, and not bother them with stupid games and advertisings. 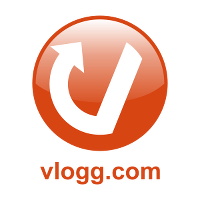 Announcement: Google+ News Has Moved to a New Domain vlogg.com!